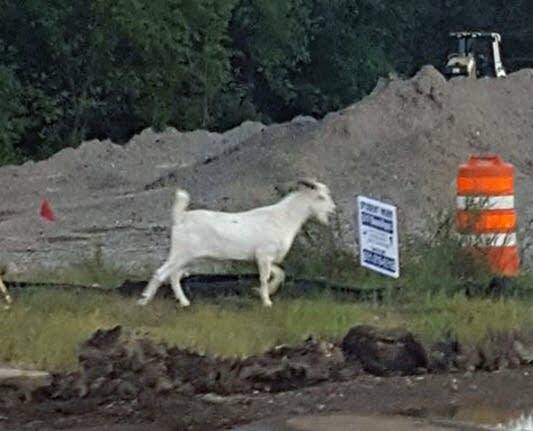 Authorities in Inver Grove Heights are trying to figure out how to capture a goat that has been loose in the city for nearly a week. The city's 40-officer force handles animal control calls in the city and police say they aren't sure where the goat came from. Chief Paul Schnell says there are farms on the southern edge of the St. Paul suburb, but that no one reported the animal missing. But plenty of residents have reported seeing the goat. "It's a fairly large goat, by goat standards, I'm told," Schnell said. "It's got horns and it's all white in color. And it has been in and out of people's back yards, standing at people's patio doors. Standing at the front doors of homes. It's been everywhere," he added. 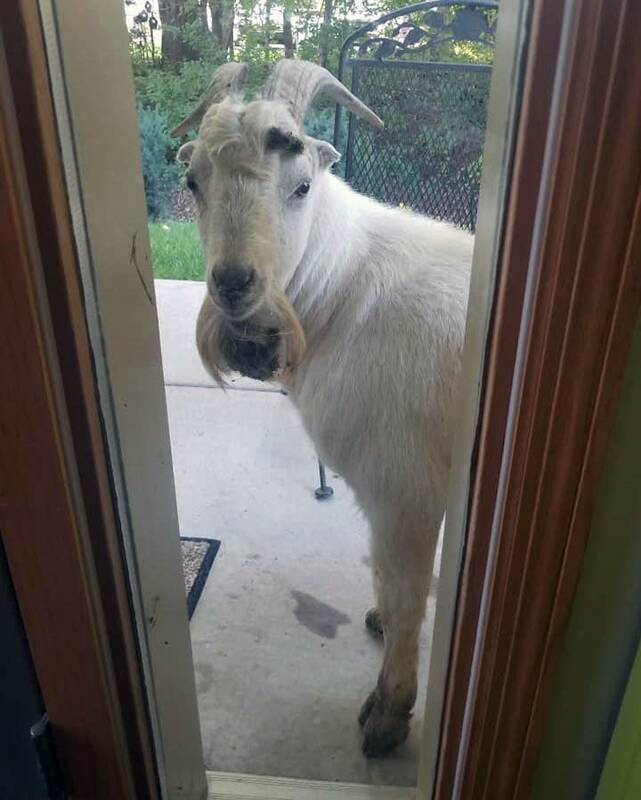 The department has tried luring the goat with food, but that hasn't worked. Police have also received numerous suggestions about how to capture the animal. Veterinarians have recommended tranquilizing the goat. Schnell says his officers are trying to avoid having to kill the animal. "The biggest thing we want to do is to make sure the goat doesn't get out onto Highway 55 and 52," Schnell said. "That has been some of the biggest concerns. He has been out there, so we have been trying to keep him out of there, and ultimately, we want to get him to a safe place." The animal and the acronym G.O.A.T, which stands for "Greatest of All Time," have prompted some social media taunting by Green Bay fans. They're referring to Packer superstar Aaron Rodgers, who some consider the greatest quarterback ever for Green Bay and the NFC's North division, and even within the league itself. The Vikings are scheduled to take on the Packers in Green Bay on Sunday.